but I will do my best to share few tips on hair~! How sweet is that?!?! I am really grateful and happy to receive such a sweet gift! Woooooow! Your eyes are sooo beautiful. I reallly love the look. Really makes me want to find it and buy it right noooow. Anyways very pretty. Also, very fun package you got there. 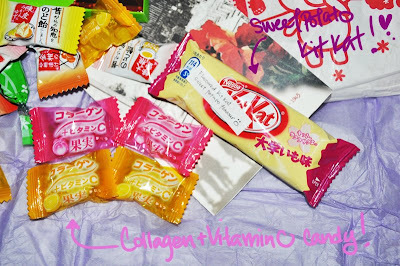 And the love package is awesome:] I think I'd devour those collagen/vitamin C candies so I won't age:[ Haha. Take care then and talk to you soon! there is such a thing as sweet potato kitkat? ooh. You are just too pretty!! you're so pretty!! 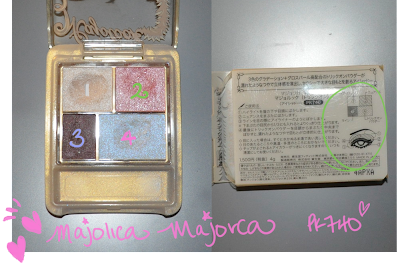 i love mm palettes :] i only have one but i use it all the time! uh, I never tried potato kitkat lolz..does it taste nice?? your makeup looks perfect!!! and that is one nice love package! girl! you look good with everything! 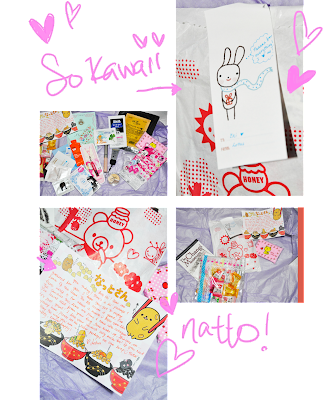 I LOVE LOVE LOVE JapaKITKAT!! oh, so sweet! is that etude house or Liole items? The colors on the palette are very pretty. you are always so kawaii Eki! wow how sweet of her to send you such lovely things! and i heard japan has many different flavored kitkats! i follow a blog called a canadian in kobe, and he posted a video where he tried all the diferent kit kat flavors, and he made them all look so delicious!!! wow they are cute! :) love your pics too. The MM eyeshadow is so beautiful, I love the shimmer! Aww how lovely! Both the hair and the love package! I can't wait to see your hair tutorial! 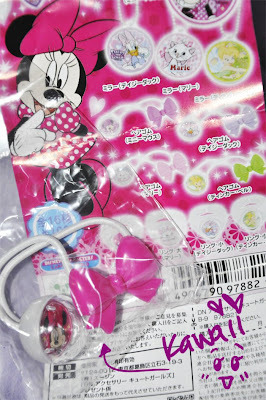 Love the Majo Majo on you!! Great Love Pack! Love your pics! You hair looks so pretty! Yea, Jun Pyo is so handsome! Ay... Just thinking of him makes me smile :) Jan Di is so lucky! She got to kiss him so many times! If I was her i would make sure I get a lot of outtakes. Hehe. This looks amazing :] I love your lashes! i like the shimmeryness of these palettes, esp the #4 shade. How come when I try to follow the diagrams on the back of e/s it never looks as pretty as yours! Eki love, you deserve all the love in the world! She sent you really cute stuff!! Mmm.. candy! awww so pretty! i'll be looking forward to your hair tutorials for i need to learn how to fix my own hair lol. Preeetty pretty look!! I look forward to your hair video!!!! your hair always look so gorgeous!